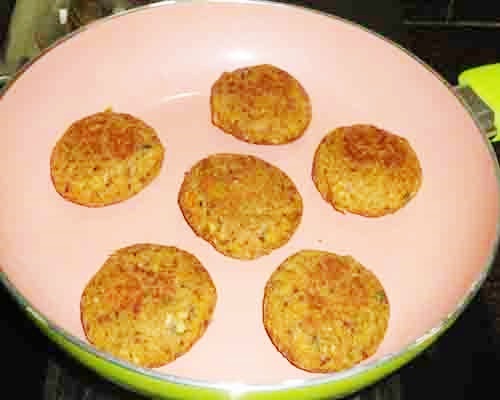 Chawli tikki recipe - Chawli tikki is a popular Maharashtrian snack prepared with black eyed beans, gram flour, spiced with chilli powder, garam masala, flavoured with cumin seeds, carom seeds or ajwain, ginger, mint leaves and coriander leaves. It can be had as an evening snack. This can be served as a starter in small parties like birthday party or kitty party. An easy snack to prepare and is a delicious bite when accompanied with chutneys, dipping sauce and even tomato ketchup. Pudina chutney is my favourite and I served chawli tikki along with this chutney. These tikkis are usually made by deep frying but keeping health in mind, I just shallow fried them with minimal oil on a non-stick pan. 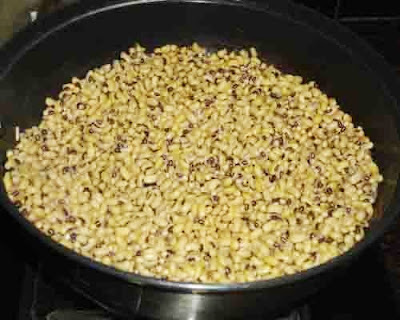 Black eyed beans are known as chawli in marathi and is very famous pulse in India. 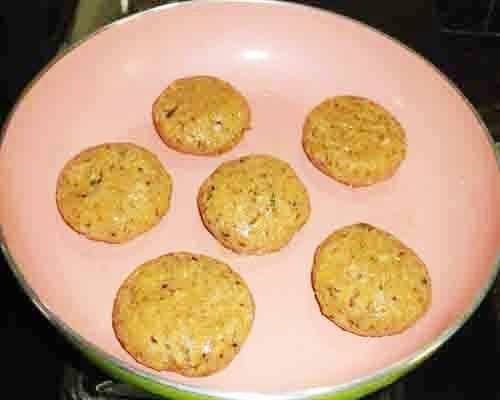 I am always looking forward to make healthy snacks and chawli tikki is one of them. The other ingredients added to it enhances the flavor. Addition of gram flour helps in binding the tikkis and enriches the taste. Black eyed beans is one of my favorite ingredients which I regularly buy from grocery shop to make traditional side dish of Karnataka namely alsande palya. Sometimes, I make tikkis with remaining black eyed beans and finish the stock before they get spoiled. The mixture for tikkis can be made well in advance. You can keep them in the refrigerator to make hot tikkis as and when required. These tikkis are an ideal snack to pack in the kids snack box and lunch box. 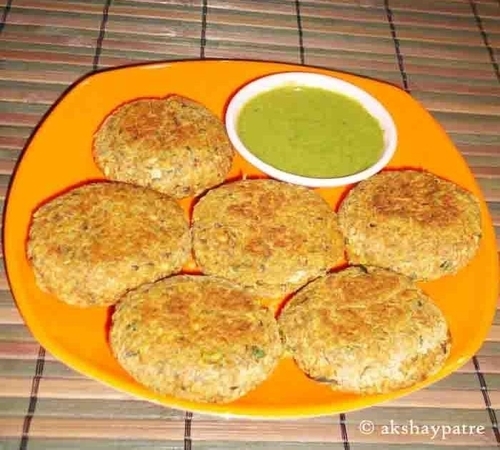 Try out chawli tikki and treat your family with this yummy snack. Pudina Chutney - Put all the ingredients mentioned under "For the pudina chutney" in a mixer jar and grind it to a smooth paste without adding any water. Add some more yogurt if required. Transfer the chutney into a large bowl and keep it aside. Hand pick and clean the black eyed beans. Wash them for 3 to 4 times. Soak the chavli for 7-8 hours. and set aside. After 8 hours, soaked beans double in size. Drain water and set the chawlis aside. Place a large vessel on medium flame and pour 4 cups of water in it. When the water starts boiling, add the soaked and drained black eyed beans to it. Allow it to boil on high flame for 5 minutes. Then cover the pan with lid and cook on medium flame till the chawli become soft. Do not over cook. 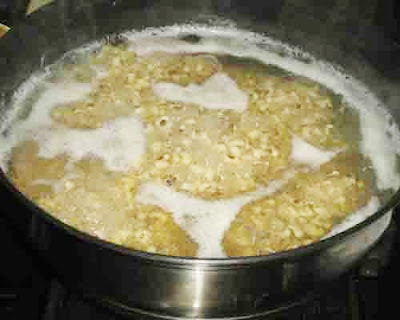 Once the chawlis become soft, drain the excess water and allow them to cool. Put the chawli, ginger, jeera, ajwain and amchur powder in a mixer jar. Use very little water. Grind the chawlis, ginger, jeera and ajwain together in batches. Grind it to a slightly coarse paste. Transfer this paste to a large vessel. Repeat the same process to other boiled chawlis. 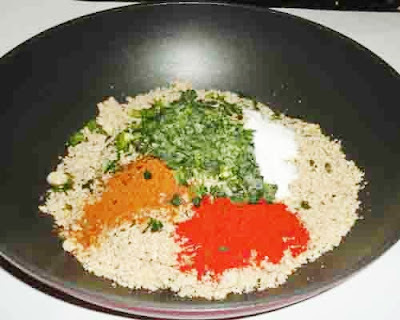 Add the remaining green chillies, garam masala, red chilli powder and salt to the above prepared paste. Mix till all the ingredients combine well. Add the gram flour and mix. Then add little bit of water and knead the tikki mixture. Place a non-stick pan on low heat. when the pan become warm, pour some oil on it. Spread the oil with spatula or grease with a brush. 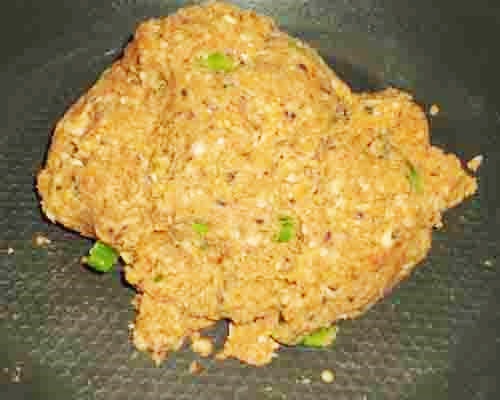 Now take a small lemon sized above prepared tikki mixture and make a round ball. Flatten it by placing on the palm of your hand. Make medium thick tikkis and place them on hot pan. Pour 1/2 tsp of oil on each tikki. Cook on low flame till the tikkis become golden brown and crisp from the botttom. Then gently flip the tikkis and cook from the other side till it become crispy and golden brown in colour. Transfer the tikkis on a plate. Repeat the same procedure to all other tikkis. Serve chavli tikki or lobia tikki hot with choice of your chutney or dipping sauce. I served the tikkis with pudina chutney. 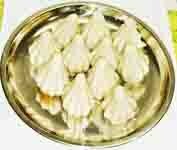 As the tikkis contain black eyed beans and gram flour, adding ajwain is recommended. After 8 hours soaked beans double in size. So take proper quantity of chawlis before you soak them. 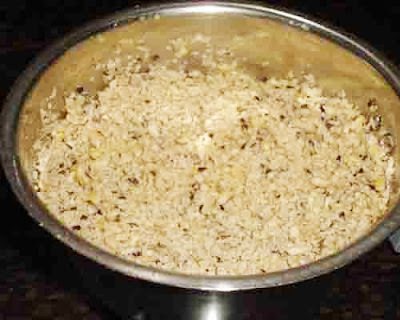 While grinding the boiled black eyed beans, do not add much water at once as the mixture for tikkis must be thick. While mixing the gram flour and making mixture for tikkis add water spoon by spoon. So that the mixture should not be too thin. Adding chopped green chilli is optional. If you make the tikkis for small kids, avoid adding green chillies. The mixture of tikkis can be stored in the refrigerator for 2-3 days. 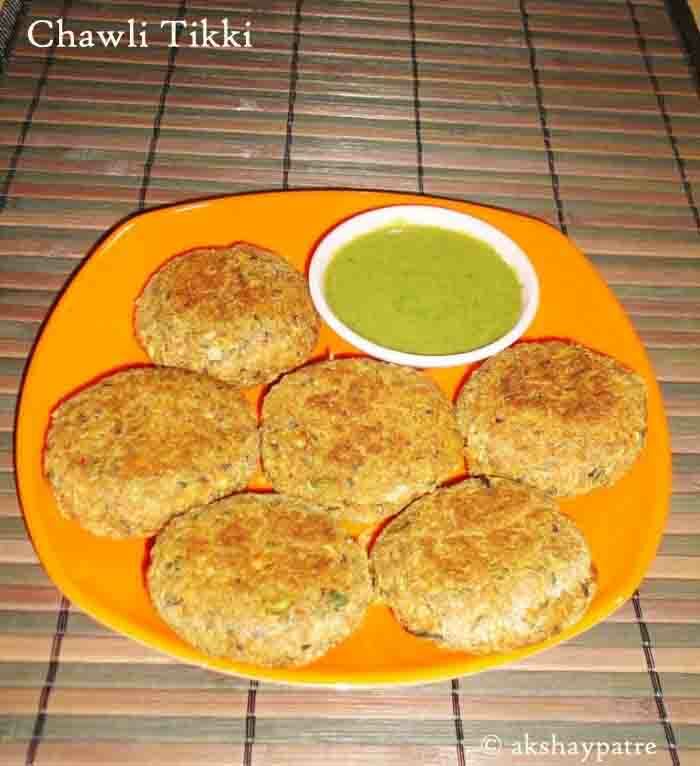 Chawli tikki goes well with all types of chutneys and dipping sauce. Add chilli powder and garam masala according to your family member's taste. This tikki tastes great with a cup of coffee or tea. 1. Wash and soak the black eyed beans for 8 hours. Drain water and set aside. 2. 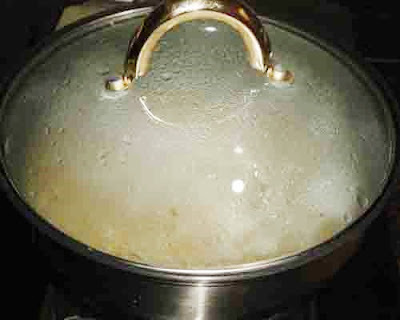 Boil sufficient water in a large pan. Add the chawli and bring it to boil. 3. Cover the pan with lid and cook the chawli till they become soft. 5. 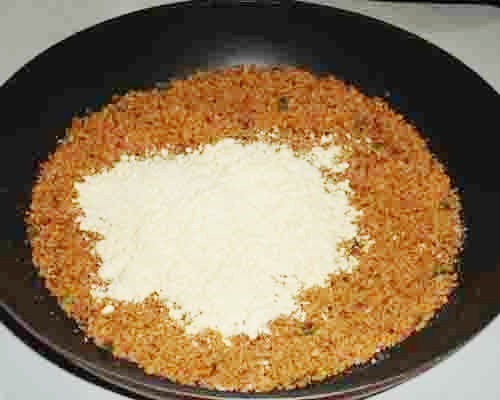 Transfer the chawli paste to a pan. Add garam masala, chilli powder, green chillies, coriander and salt. 6. Add gram flour or besan. 7. Mix till the besan and chawli mixture combine well. Knead it to a smooth and thick paste. 8. Heat a pan and pour some oil on it and spread with spatula. Take lemon sized tikki mixture and flatten it. Place 6 -7 tikkis on tawa. Pour 1/4 tsp oil on the tikkis. 9. Shallow fry the tikkis till they become crisp and golden brown from both sides. 10. Transfer the hot tikkis to a large plate. Serve hot with choice of your chutney. 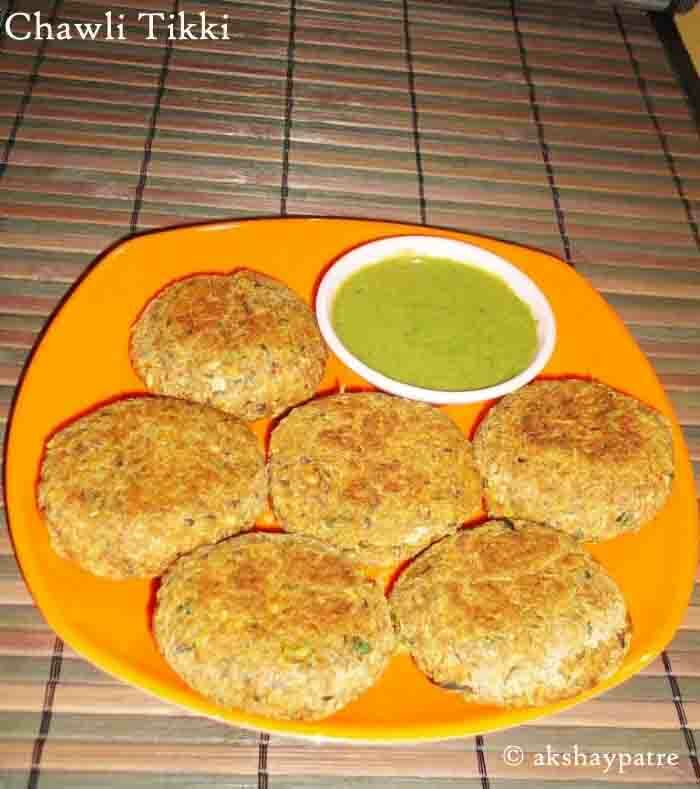 I served chawli tikki with pudina chutney. healthy tikkis,perfect with green chutney..yummy!